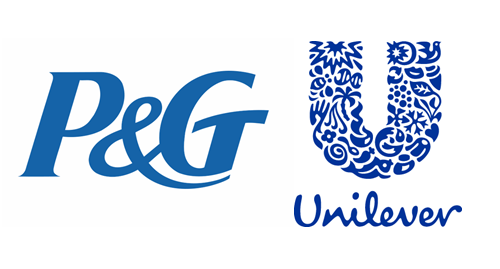 Unilever and P&G have announced they are reducing their adspend by nearly 60%, as a reaction to lack of transparency and trust in media spend. esbconnect MD, Suzanna Chaplin, outlines why in her view this has its roots in the demand for Reach from these brands. Roll back twenty years and brands routinely spent obscene amounts on advertising with no real proof of whether it was viewed by relevant audiences, or what results it drove. However, twenty years later, technology has got a lot more sophisticated and we have the ability to pinpoint audiences across multiple segments, tracking all interactions from view to click to transaction. So why after all this tech development, are Unilever and P&G reducing adspend because it lacks transparency? How can millions have been spent in the adtech space to improve transparency, and yet two of the biggest brands in the world pull adspend because it lacks it? But ultimately I believe all these outcomes were driven by the fact that advertising has demanded reach at the expense of all else. Which has resulted in quantity overtaking quality. Much has been written about increasing costs hidden within multi-layered agency deals, and the impact this has had on advertisers’ budgets. However, putting this to one side, there are now more sellers involved in a single transaction – tracking platform, brand safety platform, DSP, SSP, DMP – the list goes on. These all increase costs and therefore diminish return, however each of these specialists are currently necessary parts of the advertising delivery chain. We might see the chain rationalised in future, as specialisms are standardised and consolidated into larger platforms, or agencies further diversify, which might bring about budget efficiencies. But for the time being, advertisers must work with multiple specialists. In the quest to deliver Reach, money is ploughed into channels like display which is perceived to deliver the greatest scale at lowest cost. But when you consider the extensive delivery chain cost involved as outlined above, which significantly adds to the actual media cost of display, plus historically low engagement rates of display (with a 0.07% average Click Through Rate), the viability of this channel to deliver both on reach and quality of engagement, starts to become questionable. It’s expensive to engage millions of new customers, in a brand safe display environment. Instead of reacting by reducing adspend across the board due to a lack of transparency in display as a channel, brands should be looking for alternative digital channels which have no need for layers and layers of technology in order to yield a high ROI, or ensure a fraud free/brand safe environment. They should also look to evolve KPIs from just Reach to Engaged Reach. In my view, there are two viable digital alternatives which can deliver at the same scale as display, but which drive guaranteed engagement. 1)	Firstly, third party email advertising. Although email is as old as the Internet, the channel has evolved as an advertising channel. At a simple level, you are delivering directly to an individual inbox using deterministic targeting. Viewability is easy to assess and there is no need for complex probabilistic modelling which means more budget can be spend reaching an audience. The new model email customer acquisition platforms harness the power of the email address as a consumer’s digital ID. They start with a managed database of millions of opted-in email addresses, and deliver high-performing customer acquisition campaigns by mapping an individual’s email address to their cookies and mobile IDs. This enables sophisticated multichannel campaigns which map the consumer’s journey in real time, with no blind spots, no message repetition, and no budget wastage. Plus, as the consumer is already opted-in to receive your brand offer, engagement levels are significantly higher. Contrast average email Click Through Rates of 5% (or 7.3% using esbconnect’s platform), versus average display Click Through Rate of 0.03%. 2)	Secondly, native in-app advertising. One of the fastest growing channels, in-app advertising delivers high levels of engagement on the premise that again, your target audience is already primed and in a relevant, brand-safe environment. The global mobile app market is forecast to grow by over 130% 2016 to 2020, to USD $188 billion, and is showing no signs of slowing beyond that date. Apps as an ad channel will continue to deliver engagement, at an ever-increasing scale. And the fact that consumers are already logged in to the app enables advertisers to target deterministically via a registered email address or device ID level. Another issue with spending programmatically in the hope it will yield better results and greater transparency, is that some of the old metrics have been discarded (e.g. CTR is often overlooked) and replaced with new metrics like viewability. Brands are now striving for reach combined with high viewability. But do these always go hand in hand to deliver better results in the display channel? Many marketers are choosing to use display ad formats which yield the highest viewability but not necessarily the best return, meaning they are in danger of optimising towards worse results. What’s more, with an accepted definition of display viewability being the consumer’s ability to “see at least 50% of the ad’s pixels for a minimum of 1 second”, display can’t necessarily guarantee the whole ad is seen, especially when recent research has revealed that up to 30% of display ads are potentially viewed by bots! Brands should be exploring other ways to ensure viewability, ones where a positive action is required on the part of the consumer. For example, a content value-exchange, where consumers can only access content by answering a marketing question, or where consumers interact on the basis of simply reading an email subject line and choosing to open it. Surely 200,000 of these more qualified interactions with consumers are of higher value to advertisers than double the number of anonymous display clicks. The push for quality over quantity seems to have been compromised as many brands push for bigger reach, meaning they are diluting audiences and appearing against more questionable content. We are in an era when the average consumer wants engaging content personalised to their individual preferences, at a time convenient to them. And when we as marketers have more opportunities to grab a consumers attention, across multiple platforms like Instagram, Facebook, Snapchat, email, WhatsApp and more. We have all this at our disposal, yet inexplicably the majority of budget is still spent in display. A channel which delivers huge reach, but where the odds are stacked against driving engagement. In fact, it’s been said before that a consumer is more likely to have an heart attack then click on a display ad. This is not to say that display is not a valid channel, in fact it is vital in the ad ecosystem in terms of building awareness and supporting cross channel campaigns. But it’s definitely not the only channel that can deliver at scale. Brands should be looking at what other channels they can throw into the marketing mix, and realise reach may not always be the metric to prioritise above all else…. the Winning Deliverable. These might be channels were reach is lower but response higher, or channels which can seamlessly integrate with display to supercharge performance. For instance, using email to retargeting people who view a display ad can deliver 5x more (fraud free) clicks than display alone. We are in era of rapid technological change, and we should question whether the marketing plan and the KPIs we used even a year ago, still apply today.